You will go back in time and leave England to sail to America. As summer ends and fall begins you will help host the first Thanksgiving Day. Get a holiday fact booklet from your teacher. 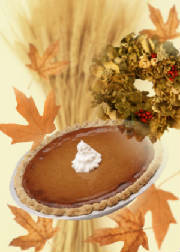 Click on the links to learn about the first Thanksgiving Day. Keep track of what you learn in your holiday journal using full sentences. Make a menu with all the items listed from the first Thanksgiving Dinner. Create a timeline describing the history of the Thanksgiving holiday.